Ann Fallon lives in Annapolis, Maryland, and has been teaching and leading traditional American folk dances in the greater Baltimore-Washington area and beyond since 1990. She calls regularly for special events and one night stands, school dances, weddings, barn dances, family dances and other private venues. 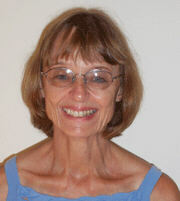 Ann has a large and varied repertoire of contra, square and circle dances, and calls with both live and recorded music. Ann is a also regular caller for dance series sponsored by the Annapolis Traditional Dance Society, the Baltimore Folk Music Society, as well as at the Spanish Ballroom at Glen Echo, Maryland, for the Friday Night Dancers and the Folklore Society of Greater Washington. Ann especially enjoys introducing traditional dance to newcomers at one night stands and community dances. Copyright © 2011 Vic Ceder. All Rights Reserved.